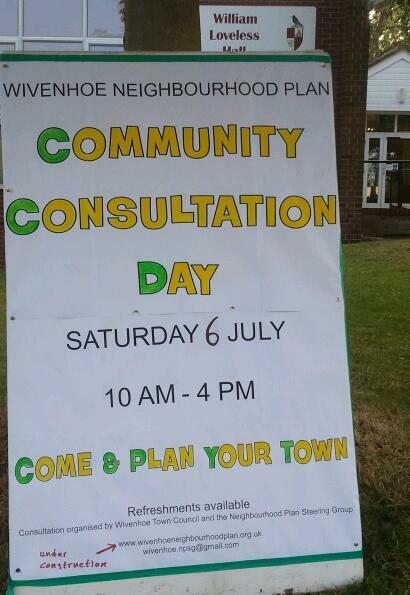 public consultation on the Wivenhoe Plan on 6 July 2013. The sheets with comment notes were carefully removed to the Council chamber at the end of the day, and members of the steering group and CBC Planning staff collated the comments on 11 July. Results can be accessed through the links above. It was clear on the day, both from the numbers attending and the data entered on the attendance graph, that further targeted efforts would have to be made, to reach groups of residents who had been under-represented. Advantage was taken of the WivKids day on 20 July. 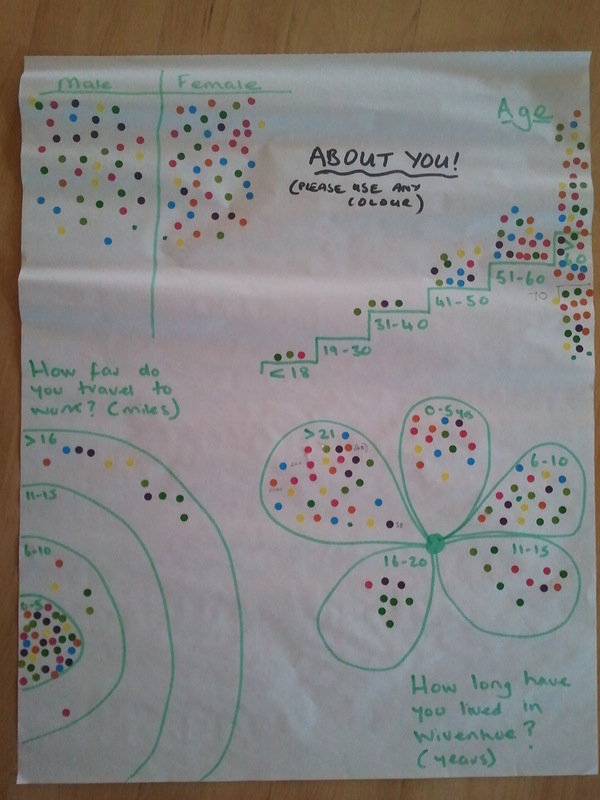 Armed with a simple questionnaire, volunteers managed to gather the comments of just over 50 youngsters between 7 and 17 by asking what they liked doing in their free time, if they could do this in Wivenhoe and, if not, where they did this and how they got there? The results were entered in a spreadsheet and, though the sample was statistically insignificant, 30% of the sample who named swimming as one of their activities and go by car to Colchester to do this, said they’d rather do it in Wivenhoe if they could; another 10% who didn’t list swimming as an activity said that they’d like a swimming pool in Wivenhoe. The KGV attracted a large number of favourable comments regarding its quality as an activity centre. An on-line survey mirroring the Open Day topics was also set up and ran until 20 August. An effort was made to connect particularly with commuters by giving out cards with the URL of the survey at the railway station entrance. In the end, 70 people went to the survey but fewer than half completed the whole questionnaire- possibly it was not clear there was a second page…? Such results as were obtained will be included in the round-up of preliminary findings. The feedback from all the above events will help the Steering Group to design a questionnaire that will be presented to all residents of Wivenhoe as part of the ongoing consultation.